Thanks to the dreary weather of the winter months, many people experience a variety of health maladies during this time. This is especially true in homes where the air is dry thanks to a lack of ventilation and frequent furnace use. If that describes your house, then you and your family will likely benefit from a home humidifier. 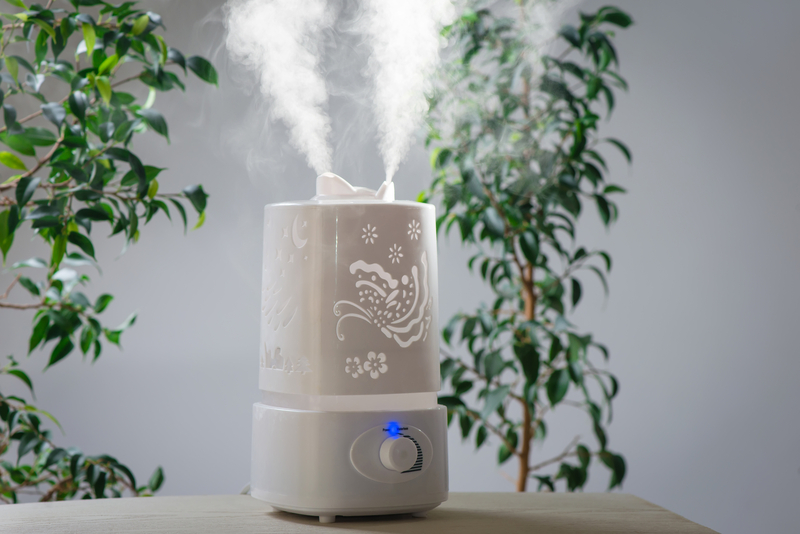 How Can Home Humidifiers Help in Your Home? Breathing dry air for extended periods of time isn’t only uncomfortable, but it’s unhealthy, especially for those who experience respiratory conditions like asthma. Even for others, however, it can lead to bronchitis, sinusitis, and frequent colds, as well as causing dehydration since dryness results in constant sweating. Dry skin and chapped lips are frequent maladies in winter. Both conditions are painful and often affect the appearances and moods of a home’s residents. This dryness also leads to nosebleeds and can cause snoring, which affects sleep quality, a vital aspect of overall health. Lotions and lip balm can mitigate some of these issues, but to address the root cause, it’s essential to add moisture to the air. Ironically, frequently running an HVAC system can make a home feel cold rather than warm. This is because it contributes to dryness in the air, causing perspiration. As sweat evaporates, body temperatures drop, making the inhabitants feel chilly. Break this cycle by keeping your HVAC running while adding more moisture to the air with a humidifier. The ideal humidity range is between 35–50%; that’s high enough to mitigate all of the issues mentioned above but low enough to avoid mold growth. If you live around New Hope, MN, and are seeking a company to provide home humidifiers, AC maintenance, and other related services, contact the experts at Blue Ox Heating & Air. They use their decades of experience to help residents of the Twin Cities metro area stay comfortable year-round, from scorching summers to dry and cold winters. Learn more about how they can help you maintain your home by visiting them online or calling (612) 217-7759.